I’m really excited about the prospects for 2019, even if we are in for rocky times! Shortly I will be heading off to Davos, where supposedly the world’s elite gather to plan the future of the world. 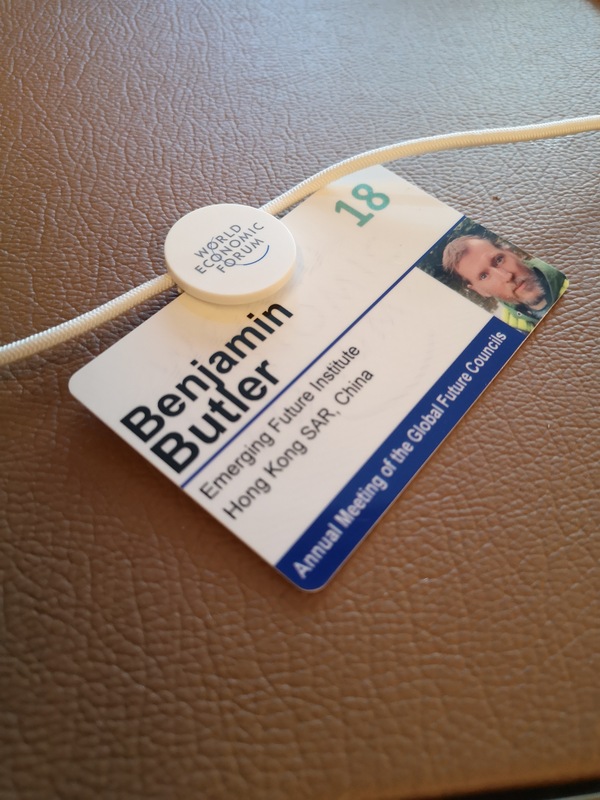 At the end of last year I joined one of the Global Future Councils and attended the World Economic Forum in Dubai in order to lay the preparatory work for Davos. However, I read somewhere in a blog this last week that Davos is merely a reunion of those who ruined the world! I will touch on that statement later. Certainly, we face challenging times now. Stories and narratives are what keep societies together and currently humanity doesn’t have a coherent narrative. 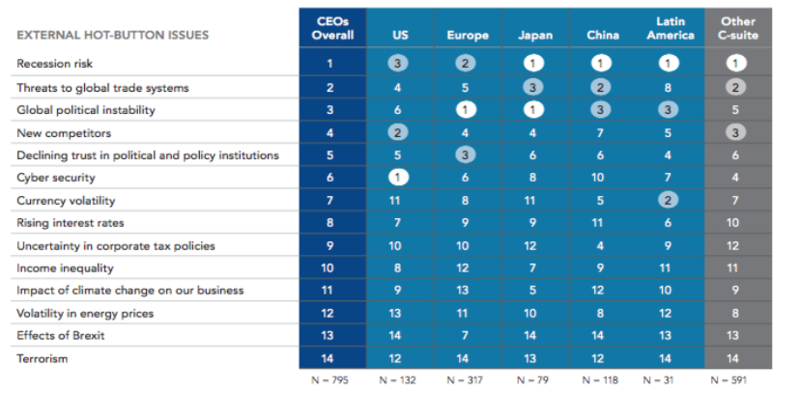 One might argue, as I do in a book being launched at Davos by Futur.io (The European Institute for Exponential Technologies and Desirable Futures), that China and Asia does have some grand narrative. But the fact that the West does not, is incredibly destabilising for the entire planet. Discord, discontent and crisis are emerging everywhere. In my homeland – the UK – the Economist Magazine writes that “the mother of all parliaments is suffering from the mother of all constitutional crises” in the form of the last minute Brexit shennanigans. No one in the UK or Europe has a good grasp of what the EU will look like in 6 months let alone 5 or 10 years. In the US, the President and the Speaker of the House (who is 3rd in line for the Presidency) have been playing games on each other, many would regard as childish. This could be the first time in history the State of the Union Address would be held in the Senate or elsewhere I am told. And Trump abruptly cancelled the Speaker’s overseas trip in retaliation. Faith in the political system continues to diminish. On the economic front, the 2 major economies of the world are locked in a trade battle, which might not be easily reconciled. The reason why the White House is being so assertive, is that they regard this as a national security issue. And reading reports out of Congress, there is actually bipartisan support. Sure, short term a deal might be done. But the fear at the World Economic Forum I attended in Dubai last year in preparation for Davos was that a new Cold War had commenced between the US and China. And all of our various crises and discord might worsen if the world slips in to recession again. Executives going in to the Davos World Economic Forum are worried about recession risk, and its the number one concern in trade-oriented nations such as Japan, China and Latin America. I am not on top of the high frequency economic data as much as I was when I was investing on a daily basis, but it does seem that it continues to worsen. The export data out of international economies such as South Korea and Singapore have been very poor and tech companies like TSMC have seen inventories build. Asset prices sensitive to international capital flow such as key real estate markets also seem to be turning as well. When the next recession hits it might be like pouring oil on the fire. Its quite easy to feel that nothing’s changed since the Great Financial Crisis of 2008/9 and get quite angry about what the global elites are doing, especially as even bigger crises are bubbling in the background like Climate Change. In fact when I am feeling ultra-cynical I might have said things like the blog to which I referred above; that Davos is merely a reunion of those who ruined the world! But even if it were true, I believe that the new future which is being called from humanity – the one I can already see emerging – requires awareness and new ways of doing things in all areas of our societies. So rather than avoid such events (or any events quite frankly) good people should attend and shine the light of human consciousness into them. I joined the World Economic Forum last year and attended Dubai. I was amazed how many people really cared about the future of all of humanity and weren’t merely there to line their pockets. On the Global Future Council on Computing most of the participants were constantly bringing up the human and ethical issues to advanced computing, including quantum computing. And I heard the same thing about many other Councils. In addition to the world leaders who will fly in, there are blockchain activists who want a fairer economic system, environmentalists who are promoting a cleaner and more ecological world, and there are even monks and mystics who are pointing to something even deeper. There are rumours that a shamanic ceremony even transpired before the forum. My whole adult life, I’ve been a walker between worlds. I spend times in quite privileged settings with leaders and I also spend time in spiritually-minded communities and progressively-minded people. The same challenges can be found everywhere. Its so easy to blame others or their ideas (their -ism, whether its capitalism or socialism). The truth , the real truth, is that the problems are inside all of us; the anger, the greed, the jealousy and the pride. Tolstoy once said that everyone wants to change the world but no one wants to change themselves. Its time to leave division and hatred behind, its time to engage with others with an open mind and a warm heart, across all communities. Its with that intention I am jumping a plane to Davos tomorrow. I am looking forward to the interactions and learnings and hope to report back.